About Us - NORTH BAY Office - Dog Fence Installation and Service, Pet Stop Invisible fences in sonoma, Marin, Napa, East bay and the Peninsula. 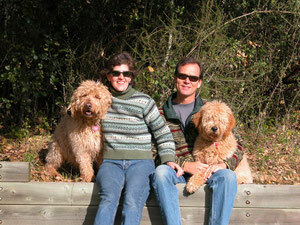 Owners Chris and Julie Steinfeld have been serving all of Sonoma, Marin and Napa counties since 1994. From 1994 to 2004, they served their clients as Invisible Fence Pet Protection. From 2004 to present, they continue to serve pet owners under the Pet Stop of the North Bay banner. 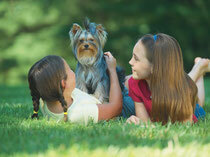 became a leading provider of Pet Fence Systems. Long ago at the end of the last century, two years before Chris and Julie were married: they adopted Beauregard, a 10 week old Labradoodle puppy. Living on a piece of property on the North Shore of Long Island, NY, with Chris traveling to far away ports in pursuit of Olympic Gold racing sailboats, it was determined that the best solutions to keep Beauregard safe at home was to install an invisible fence. In the Spring of 1994, Chris and Julie had been married for two years, the 1992 Olympics were in the history books. It was now time to pack up the Silver Medal and return to the West Coast. In June of 1994, Chris and Julie relocated to their new home in Sonoma CA and created their new business, Invisible Fence Pet Protection. For the next ten years, peace and harmony reigned with Chris honing his containment system design skills. Toward the end of 2003, the "Dark Side" seized power at the Invisible Fence Company. The company was restructured and manufacturing was outsourced to CHINA. Product reliability began to suffer. Not wanting to join the evil empire, Chris and Julie decided to build a relationship with Perimiter Technologies, Inc. a USA Manufactured professional Pet fence System called Pet Stop. This is when Pet Stop of The North Bay was born. 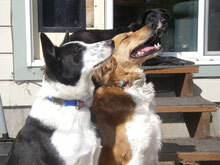 The switch was easy, Perimeter Technologies, Inc. employs the greatest minds of the dog fence industry. 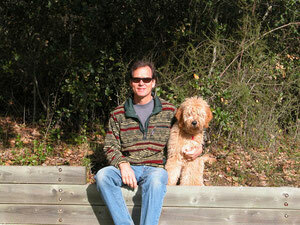 John Purtell, Pet Stop's President was the Founder of Invisible Fence. Pet Stop's electronics offer many more features than Invisible Fence and we are happy to bring those features to our customers. Making the switch from Invisible Fence to Pet Stop proved successful, through customer satisfaction, our company grew in size.